You don’t have to be DStv subscriber to get Showmax, and it’s really easy to get Showmax. So what are you waiting for? Sign up now for your free trial and start watching the best series and movies on multiple devices. How do I get Showmax if I don’t have DStv? 2. Sign up with your email and create a password. 3. Select a payment method to start your 14-day free trial. Please note: you won’t be charged a cent until the trial has ended and you can cancel at any time, even during the free trial. After the trial, Showmax costs just R99 per month. That’s all! You’re now ready to binge-watch the best series, movies, kids’ shows and documentaries with more added every week! If you’re a DStv Premium subscriber then you get Showmax for free! Compact and Compact Plus subscribers get Showmax for just R49 per month. 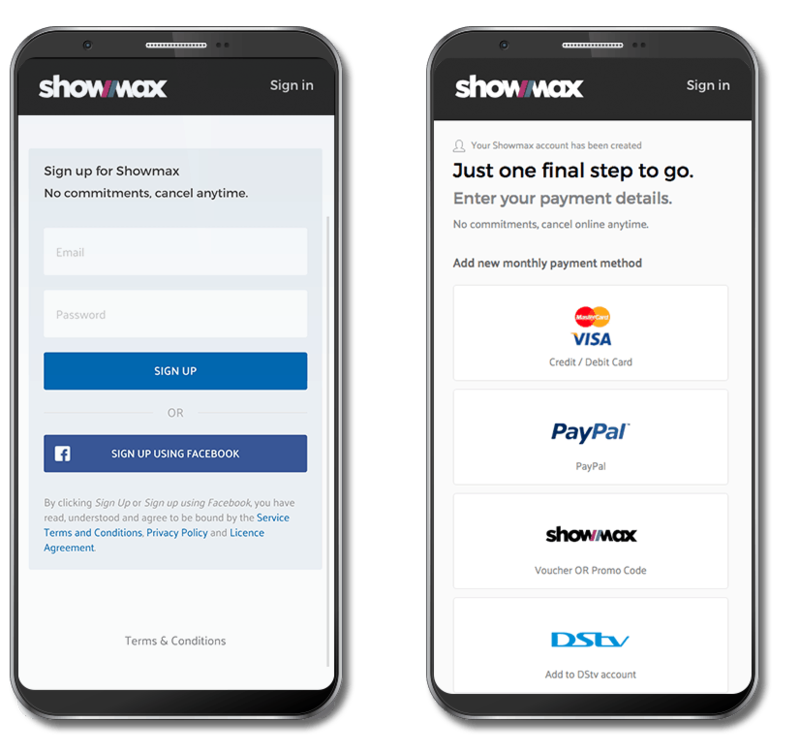 How does Showmax work with DStv Premium?